Welcome to Forde Windows and Remodeling, Inc. If you reside in Chicago or any of the surrounding areas and are in need of a local windows and doors contractor or home remodeler, you’re in luck! 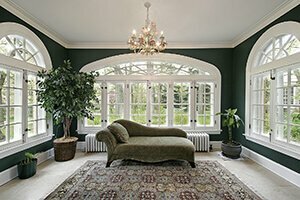 Forde Windows and Remodeling, Inc. has been providing architectural design and construction services throughout the Chicago metropolitan area since 1987. We excel in providing windows and doors replacement, installation and repair for over 30 years. Maurice A. Forde started Forde Windows and Remodeling, Inc., as a window and door replacement company in January 1987. During the last three decades, Forde Windows and Remodeling, Inc. has installed more than 20,000 replacement windows and doors! Although windows were our specialty initially, Forde Windows and Remodeling, Inc. now handles complete home improvement, including kitchens, bathrooms and home additions. 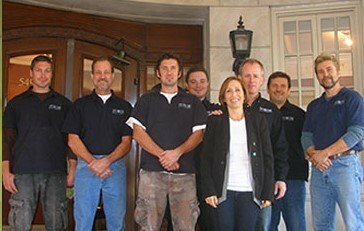 Forde Windows and Remodeling, Inc. employs between eight and 16 craftspeople, depending on the workload, and has adopted a lead carpenter system to keep jobs running smoothly and increase our customers’ overall satisfaction. At Forde Windows and Remodeling, Inc., we’re proud of the accolades we’ve received, such as Contractor of the Year as a team member with L.R. 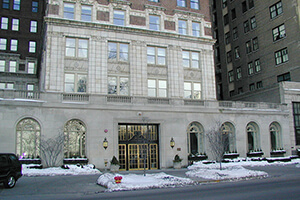 Development Co. for our work on the Mayfair at the National Association of the Remodeling Industry (NARI) COTY awards. However, we’re even prouder of the relationships we’ve built with our residential and commercial customers. They trust us for our ability to listen, our professional expertise, our integrity and our reliability as one of the best improvement companies in Chicago. These combined principles have allowed us to consistently exceed our clients’ expectations. As part of our commitment to professionalism in the remodeling business, Forde Windows and Remodeling, Inc. is a member of the Better Business Bureau and NARI. We participate in all forms of ongoing education, such as the recently completed HUD Lead Safe Remodeling Program. Founder Maurice Forde has served on NARI of Greater Chicagoland’s board of directors as a former president, and was also a delegate to the National Board where he chaired Education, Finance and Certification. Forde Windows and Remodeling, Inc. currently has three NARI-certified employees on staff. They include a certified Lead Carpenter (CLC), a Certified Remodeler (CR) and a Certified Kitchen & Bath Remodeler (CKBR). 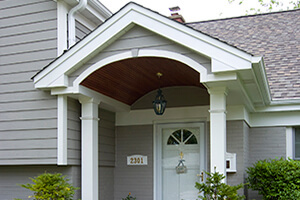 This professional approach is taken on every job Forde Windows and Remodeling, Inc. takes on. If you live in Chicago and the surrounding areas and your house is in need of window repair or replacement or a general remodel, contact Forde Windows and Remodeling, Inc. Call (847) 562-1188, email info@fordedesignbuild.com or complete our online request form. We look forward to hearing from you!